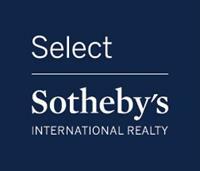 Select Sotheby’s International Realty offers exemplary service to real estate buyers and sellers in the Upstate New York area, with a specialized focus on unique and distinctive properties. Our real estate brokers and agents are locals with in depth knowledge of the Upstate New York real estate market and the surrounding real estate markets of Lake George, The Catskill Mountains, Lake Placid, Saratoga, and Central New York. Select Sotheby’s International Realty’s clients should expect personal attention, and extraordinary marketing from the most knowledgeable agents in the Upstate New York area. Servicing everything from the Catskills north to the Canadian border and form Vermont west past the Finger Lakes and Thousand Islands we specialize in Saratoga Springs Real Estate, Catskills Real Estate, Lake Placid Real Estate, Lake George Real Estate, Central New York real estate, and many other local communities. Take I-87N to Exit 13N. Follow Route 9 until it turns into Broadway. Office is located at 270 Broadway in the Park Place building, next to Congress Park.